Maroon 5 debuted its latest music video for new track “Girls Like You”, the third single off their “Red Pill Blues” album with the ultimate women cast. Celebrities, althletes and activists come together in this star-studded video in a show of strength and empowerment. The new single features a solo performance by singer Cardi B and kicks off the cameos as the camera pans with singer Camila Cabello, followed by some of the most inspiring women right of today; actor Phoebe Robinson, gymnast Aly Raisman, Sarah Silverman, Gal Gadot, influencer Lilly Singh, activist Amani Al-Khatahtbeh, transgender actress Trace Lysette, comedian Tiffany Haddish, activist Angy Rivera, comedian Franchesca Ramsey, actor Millie Bobby Brown, Ellen DeGeneres, Jennifer Lopez, snowboarder Chloe Kim, soccer star Alex Morgan, Mary J. Blige, actor Beanie Feldstein, activist Jackie Fielder, race car driver Danica Patrick, politician Ilhan Omar, actor Elizabeth Banks, model Ashley Graham and Rita Ora. Raisman wears a T-shirt that reads “Always Speak Your Truth” – the Olympian anda member of the #MeToo movement spoke out and testified against former US Gymnastics doctor Larry Nassar at his sentencing on charges of criminal sexual conduct. 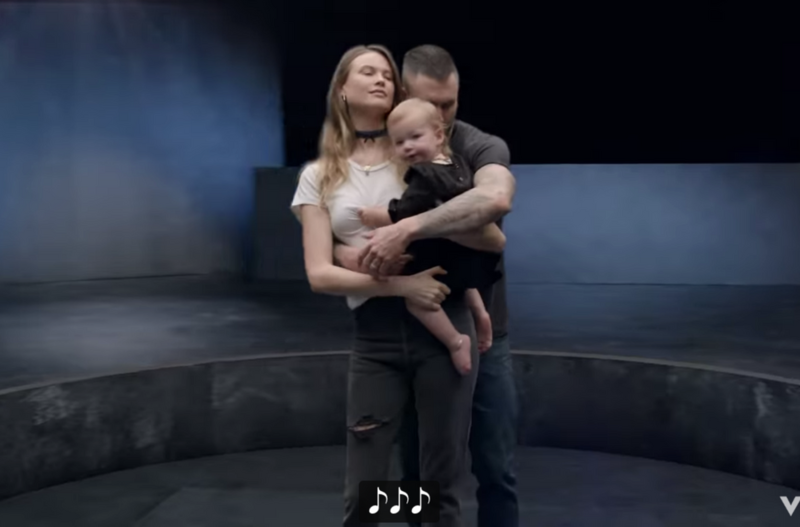 In a truly sweet, heartwarming ending, wife Behati Prinsloo and daughter Dusty Rose close the video with a loving embrace from Levine.